Often, numeric data correspond to labelled information. For example, a dataset may use the number 1 to represent Males, and 2 to represent Females. Of course, is much easier to make sense coded data when the values for each number are documented, so Colectica allows you to do this. 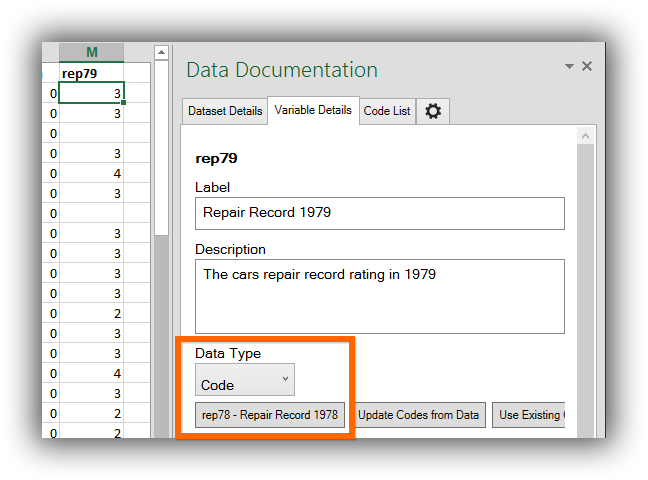 For instructions on creating a new code list for a column, see Create a Code List for a Column. Additionally, you can re-use a code list if it applies to multiple columns. 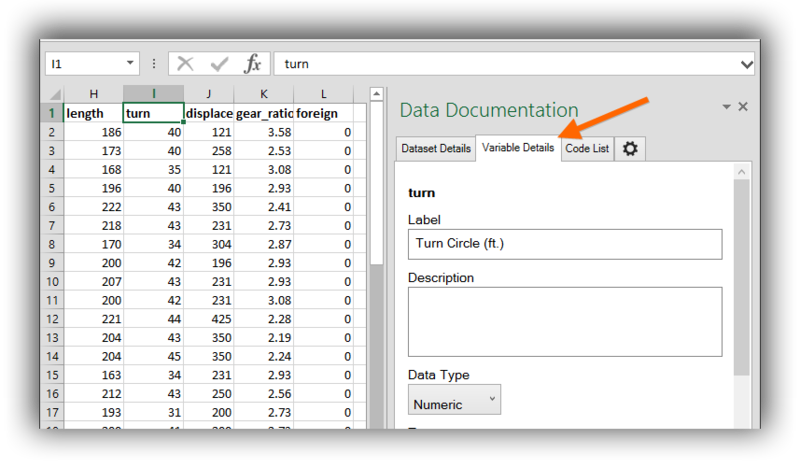 In the Data Documentation pane, select the Variable Details tab. The Variable Details tab shows details for the column where the cursor is located. For the Data Type, choose Code. Click the Use Existing Code List button. 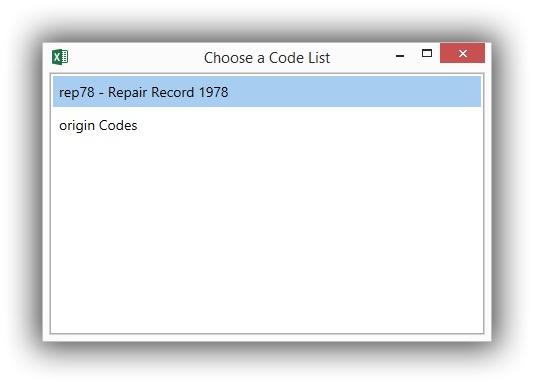 After clicking the Use Existing Code List button, a list of available code lists from your workbook is displayed. Double click the code list you would like to use. 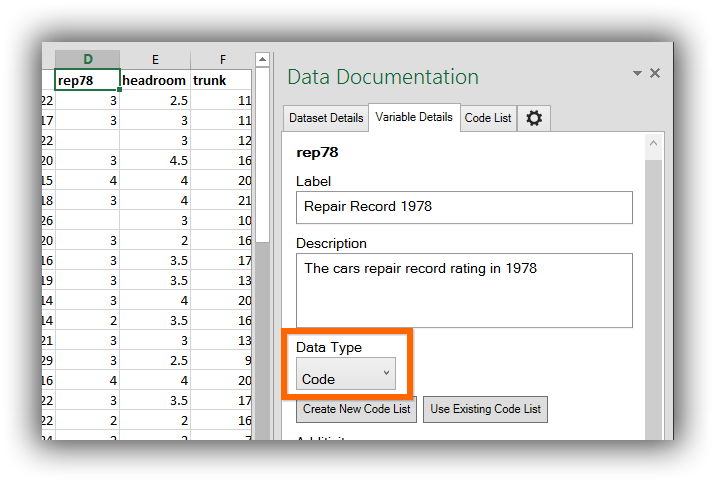 The code list will be displayed in the Variable Details pane.